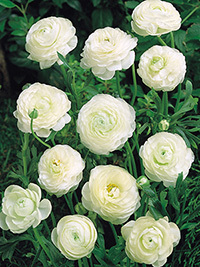 Fully double flowering white ranunculus. Perfect for wedding bouquets. Guaranteed to add an element of elegance to your garden.